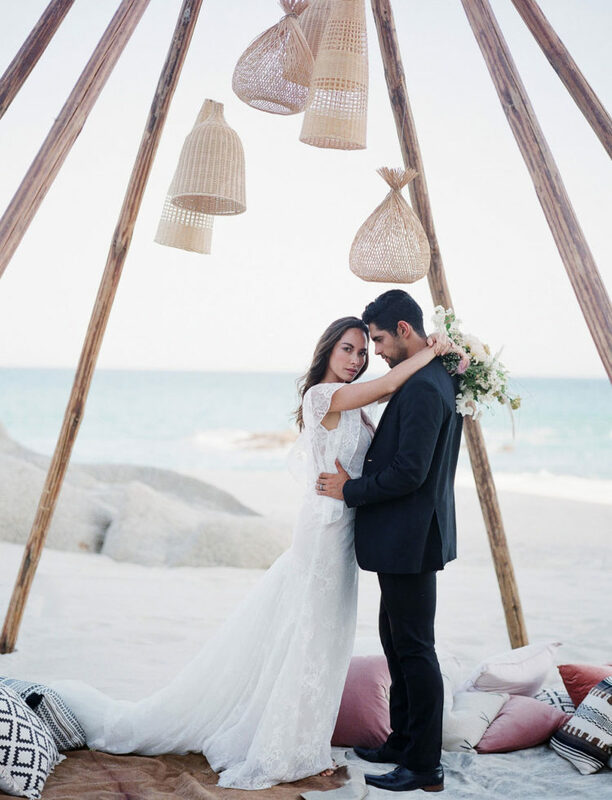 This luxurious destination wedding shoot features beachside views, a postcard-worthy ceremony and lots of great details, let’s take a look at this beauty by design team Crosby and Jon. 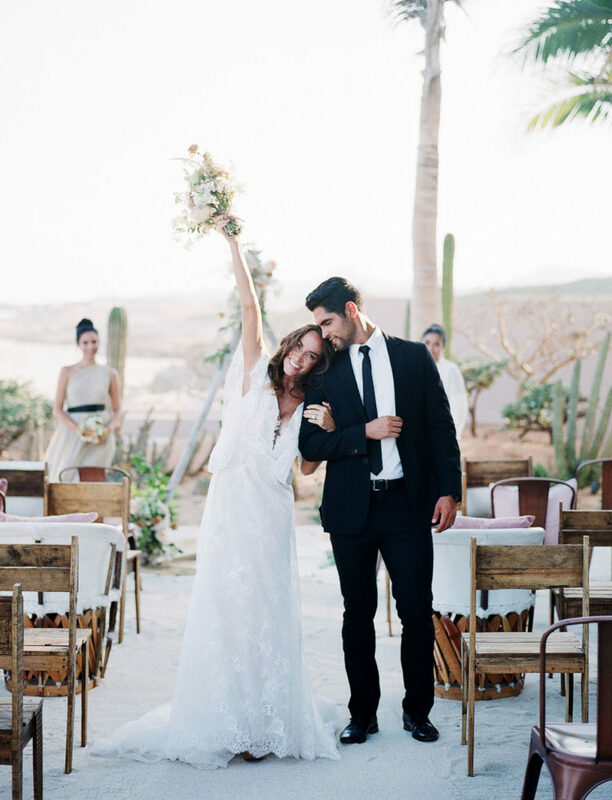 Grand Velas Los Cabos was chosen to create this beautiful shot as it has modern architecture, lavish landscapes, a panoramic view of the Sea of Cortez. 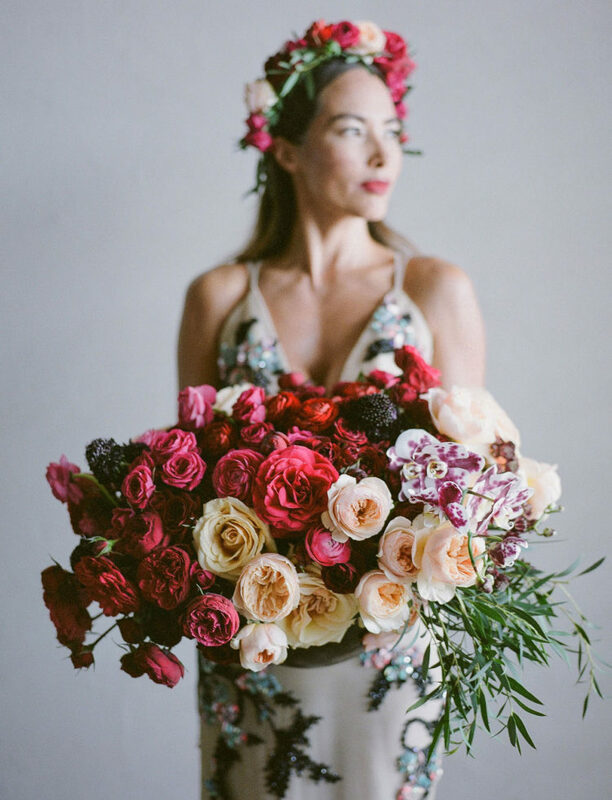 From the Frida rehearsal dinner to the luxuriously bohemian ceremony and reception, each event flowed flawlessly with the help of the talented vendors. 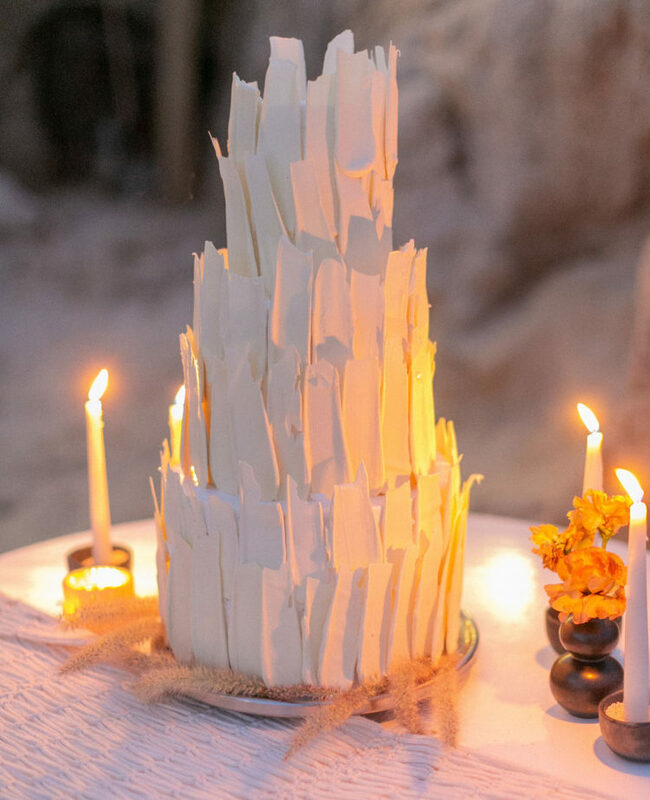 The team planned an intimate rehearsal dinner at the property’s elegant restaurant, Frida. 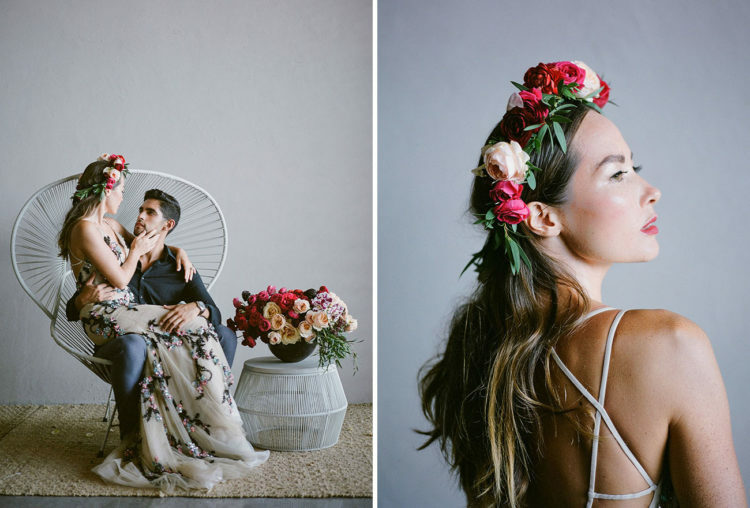 With the restaurant’s namesake Frida Kahlo in mind, the bride wore a beaded dress by Hayley Paige and adorned her hair with a vibrant flower crown. The groom was wearing a black suit with a white shirt and a black tie, and the bridesmaids were wearing mismatching neutrals and updos. The second bridal look was done with a lace wedding gown with a plunging neckline and wide sleeves. 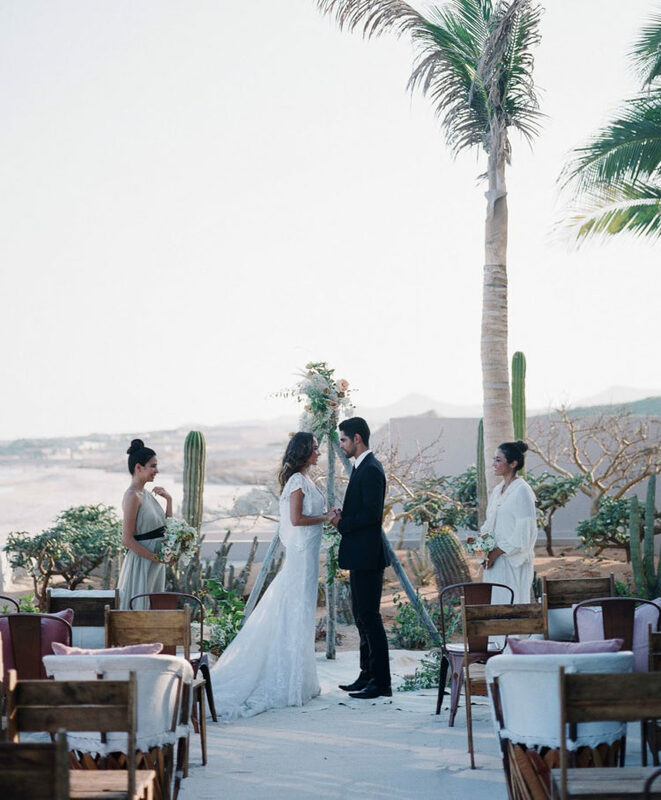 The ceremony took place on a grassy lawn with a panoramic view of the ocean. 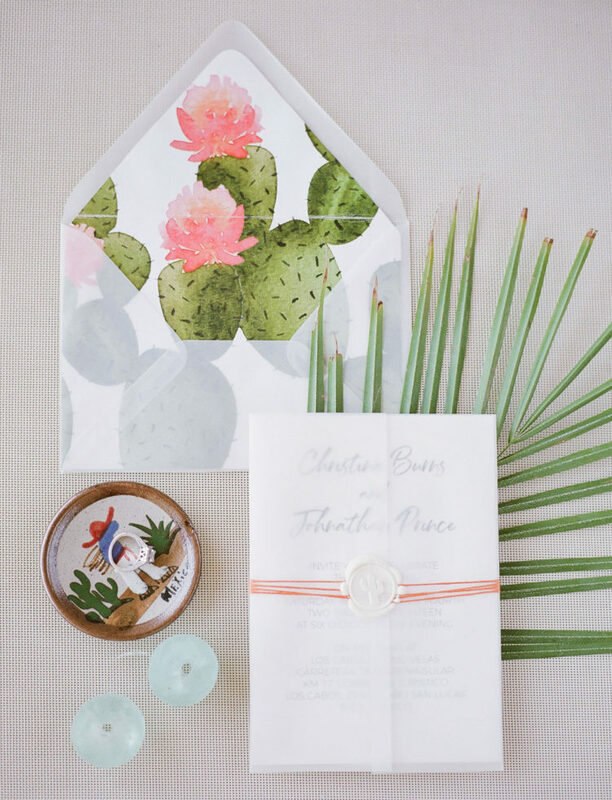 A free-standing teepee frame marked the untraditional ceremony arbor, backdropped by a cactus garden with dreamy dessert hues! 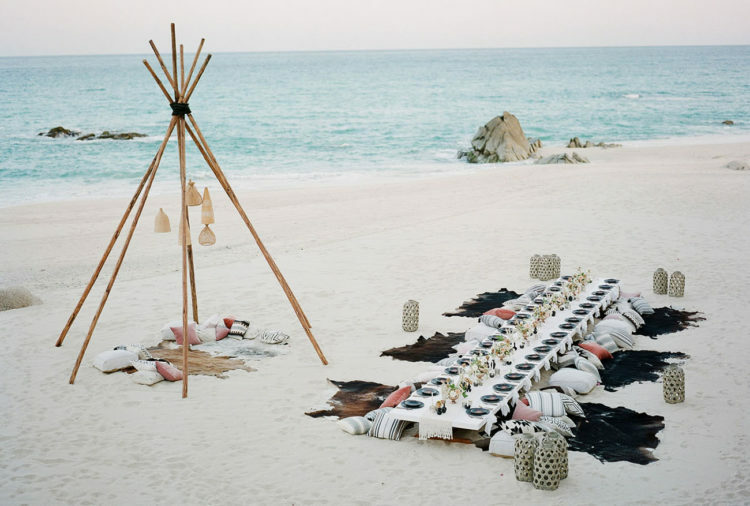 The team layered patterned pillows and cowhide rugs below the long white tabletop for a stunning beach reception. 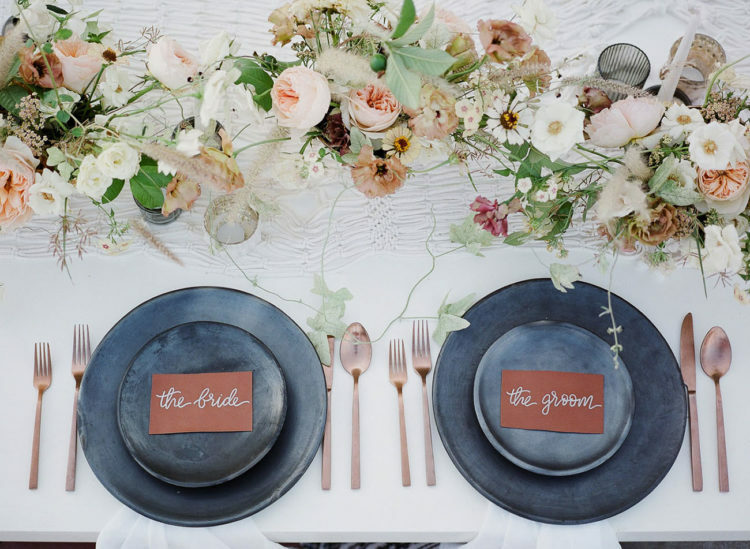 The table was set with black plates, rose gold flatware, and the wedding cake was a tiered white chocolate one. It was a very long beach picnic table, and there was a mini teepee with rugs and pillows next to it.